Lorenzo is available at a special discount price as part of our Reed Machines bundle. See our Hot Deals page to grab this offer. We have a bit of a soft spot for reed organs. They can add an instant blanket of breathing, organic warmth to a track. Their tuning’s never perfectly stable. The reeds are never quite in sync. The fan noise adds a dash of high-frequency texture to each note. Overall, we can’t get enough of them. 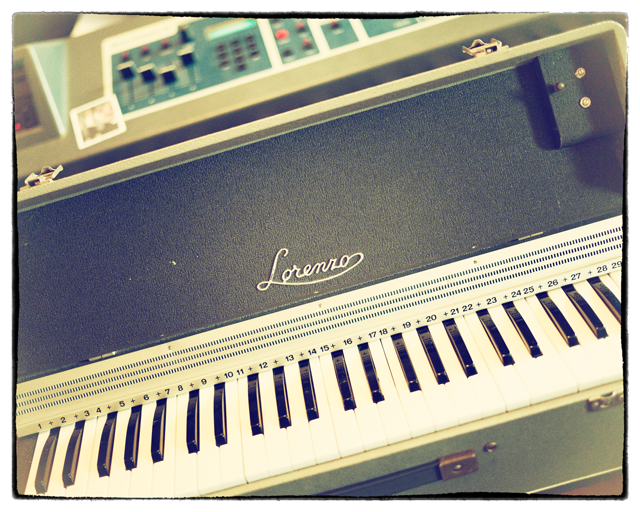 The Lorenzo is a compact four-octave reed organ. No chord accompaniment buttons; no tone controls; just keys and reeds and a fan breathing air over them. So it only does one thing, but the sound it makes is just lovely. We were very taken by what a contrast this machine is to Sheltone – a much darker tonality with a very slight sense of crackle from the fan; almost a vinyl warmth. Where Sheltone is bright and clear and great for cutting through a mix, Lorenzo is richer-sounding and fuller. The joy of reed organs is really in their strange little quirks and oddnesses, so we made sure to sample every note on Lorenzo for 30 seconds each. We also sampled a pool of key-on and key-off noises, which probably wouldn’t be audible from more than a few feet away but which add a great deal of life and interest to the sound when blended in subtly – great for getting a “close mic’d” sound, or just a more intimate vibe. 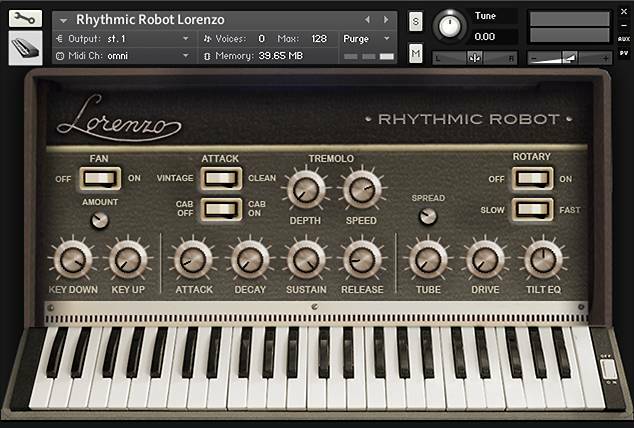 Lorenzo sounds great played solo, and turning up its key noises gives it a neat accordion-style atmosphere; but it also lends itself really well to more abstract pads and textures, so we made sure to give it a bit of versatility in the interface. You can adjust the envelope with standard ADSR controls; retain or remove the original slow attack (as the reeds wobble into life) with the “Vintage / Clean” attack switch; switch the characterful fan noise in or out; and dial in some tremolo for added movement. There’s also a simulated amp cab, two types of distortion in case you want to warm things up, a rotary speaker (which really suits the sound) and a simple but powerful Tilt EQ for thinning or thickening the tone. This is a great little keyboard for folk and folk-rock, or for adding an organic depth to other musical styles. The original packs up into its own little case and it comes with legs – how cool is that?! Ours may not have legs, and perhaps it doesn’t smell quite as funky, but it makes up for it by taking the Lorenzo sound in directions it couldn’t manage before – turning it into pads, melody leads, ominous swirls and throaty rasps. For a small tolex box it packs a ton of character. If your latest track’s sounding a bit too clean and clinical, why not try putting a little Lorenzo in your mix? This little reed organ is rather lovely, with a dark character. Perfect for creating a pensive segue in an otherwise energetic track. It reminds me a little of something from Pink Floyd’s The Wall. sounds really warm and lovely. Really characterful organ :). Love it! The sound is like in the demos. Great instrument. It includes a rotary switch. And plenty of other buttons, the sound is highly customizable. Crisp and creamy sound, very mellow. Between this and Magnus, you have a GREAT complimentary set of reed-based plugs. This thing just tucks right in, and it’s warm, and it does everything you want from reeds without doing the irritating stuff you’d rather it keep to itself. The sleeper hit of the Alt-Folkist bundle. Warm and rich, not much else to say. Very playable and blends well with a number of other instruments I have. The tones are really deep with a vintage flavour, in my opinion this is one of the best reed organ sound!! Very warm and sweet sound like tube. Must have all who love old-time instruments. I love me some Lorenzo- the Rotary is an especially nice extra- not a Leslie effect exactly, but adds a very nice 3-D quality to backing tracks. This is a great instrument for some old-time sounds. We (wife and I ) work exclusively in the real of Gospel music, and we like it a lot!. Now this has become a favourite organ – rich and deep tones which suits drones and chord beds. Its certainly solid – the reedy structure of the sound seems like its built to hover forever…but with “clean” attack it can sound almost like an electric piano. 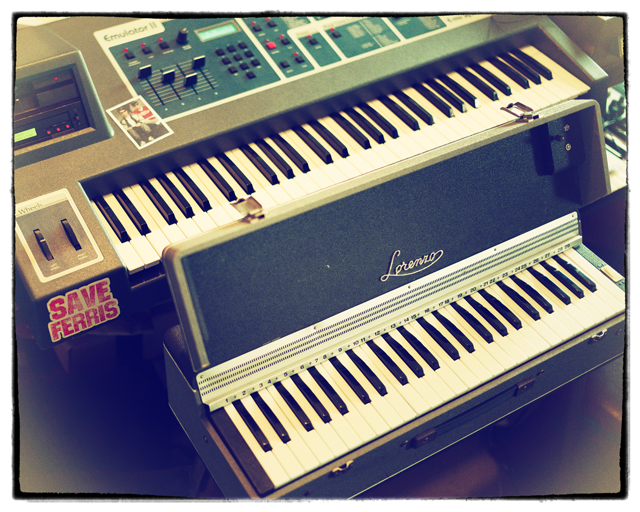 At its best, its virtually a harmonium, with noisy key strokes and a buzzy droney sound. Quite unique and despite its seemingly limited sound options – pretty limitless in its potential. Hours of sustaining chords awaits!